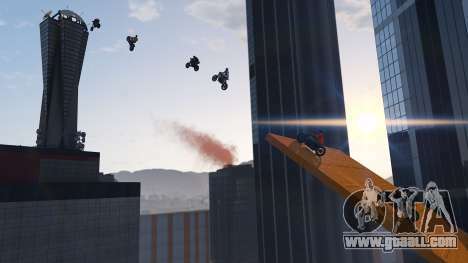 In this article we will consider the last update for GTA Online, which includes: a New adversary mode "Kill Quota", vehicle Bravado Youga Classic, premium race "High Flier" and more. 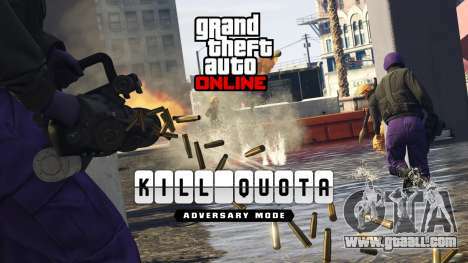 New Adversary mode "Kill Quota"
The newest team-based adversary mode "Kill Quota" in GTA Online, which play up to 16 players across 2-4 teams. Starting with powerful weapons, each team must kill a certain number of enemies using this weapon before moving on to the next one and so on. The last stage – it's melee, where for murder need just one hit. The team that successfully completes all six stages in the match (or kill more enemies at the end of the time limit) wins. Hurry and earn up to 28 November, getting twice GTA $ and RP in any of the seven new maps for mode "Kill Quota"
Buy the car that became a symbol of originality and the counterculture. 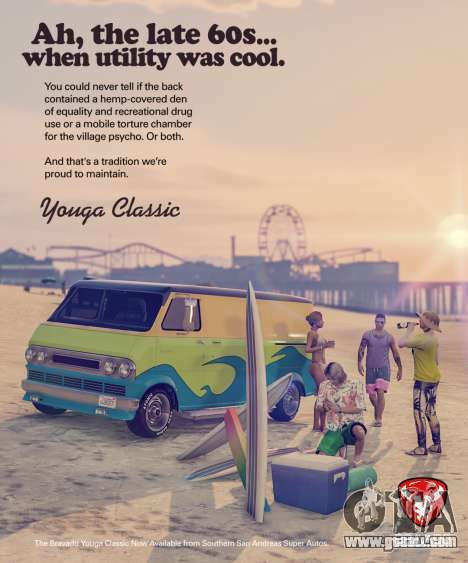 Bravado Youga Classic is now available and sold in the salons of the Southern San Andreas Super Autos. This beach hottie with high suspension will make everyone wonder what's going on in the back. In front of this seductive vehicle you can't resist. Saddle up and fly through the sky of Los Santos in the premium race this week "High Flier". This noncontact mode only for motorcycles with a triple RP bonus for participation. And a solid amount of GTA $ for those, who finish in the top three. Race is available through November 28. By the way, on our website every day there are dozens of new vehicles for GTA 5. All mods are tested by our moderators and is ready to install in your game!